It’s about time! ES also has a ton of new features. Check out the changelog on the ES blog. This entry was posted in Uncategorized on June 30, 2014 by Aloshi. This is part 3 of my writeup on the time I changed Persona 3’s music. You should probably read part 1 and part 2 first. I’m going to break the pretense of “discovery” and just tell you what the BGM tool does now. 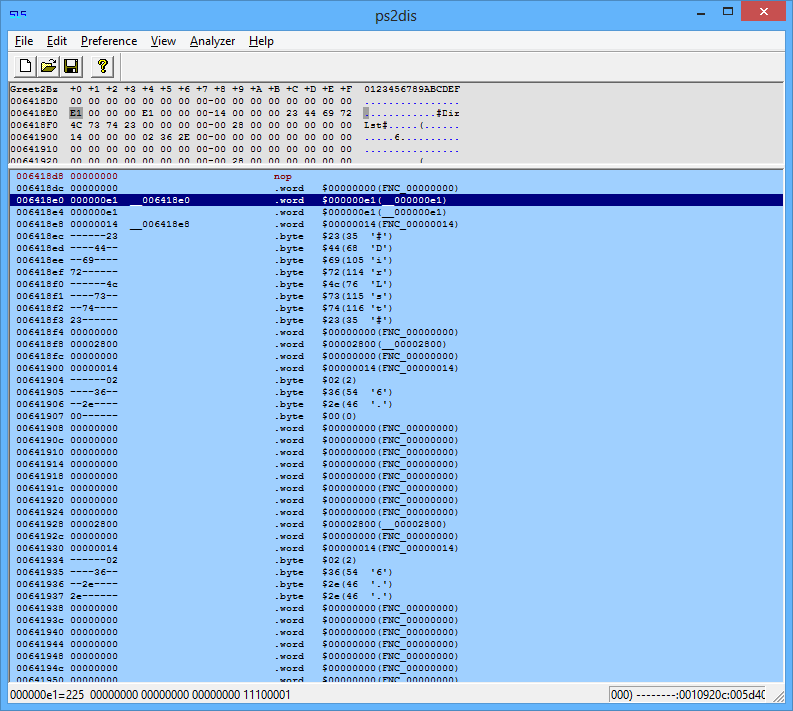 Re-write the embedded BGM.CVM file table to reflect changes to BGM.CVM. Add a way to map a given song to a list of tracks to choose from randomly. Add a routine to select a song from the list randomly. All of these are made harder by the fact that there is practically no free space in the source code. Because this is in assembly, everything relies on jumping to specific “lines” – which means we can’t freely insert code. Which means we either need to overwrite existing data, or extend the file. So, how do we extend the file? Well, luckily, the PS2 uses the .ELF format (also used by Linux executables), which means we’ve got a fairly well-documented format to work with. Long story short, we can increase the data loaded beyond the ELF footer (near the bottom of the file) by incrementing the 4-byte value at an offset of 0x00000044 into the file. I also increment 0x0067F514 by the same amount, which contains the address of the start of the heap. Generating the new BGM.CVM file list isn’t that hard, since we already have the code for a tool that creates a new .CVM. 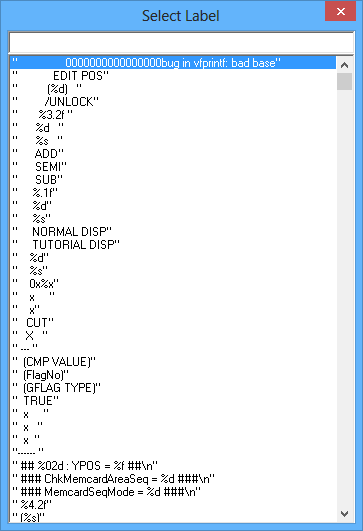 I used the cvm_tool code to read what’s in the new BGM.CVM file table and just follow the format described in Part 2. But that gets represented a bit differently in assembly! The following is very similar to how Persona 3 actually does it. //'\0' is the "null" character - it has a value of 0x00 and is used to indicate the end of a string in C.
//v0 now contains the address of the null-terminated string "21.ADX"
A very convenient thing to notice here: the filename lookup table allocates 12 bytes per entry. Only 4 bytes are actually used. I’m not sure why this is – the compiler probably had a good reason – but that means we can stick extra data in the lookup table! To randomly select music, more information is needed. Let’s define some vocabulary first. A song is what’s understood by the original game, in that first array. In our new world order, every song has a list of tracks associated with it, instead of just one piece of music – we can pick any one of them to play. //In this example, song number 0 maps to "01.ADX" and "01A.ADX", song number 1 maps to "21.ADX", and song number 2 maps to "101.ADX". const char* filenames = "01.ADX\0\0"
There are some interesting limitations here – for example, the song address length for every track for a given song ID must be the same. Luckily that doesn’t make much of a difference for our use case since all track names are practically the same length (we rename them to follow “01A.ADX”, “01B.ADX”, etc.). And creating the associated tables. Rad. This entry was posted in Uncategorized and tagged persona, ps2 on December 30, 2013 by Aloshi. In part one, I started a journey to add more music to Persona 3, and to randomly select between new and old tracks. I left off with a very specific problem when replacing a file: the game is reading the file’s location inside BGM.CVM from something other than the CVM file. The only place I can think of that would have the answer is the source code. A little Googling reveals a program named PS2Dis, a PS2 disassembler. Let’s open the SLUS_216.21 file. We’re clearly going to need a little background on assembly. The PS2 runs a 64-bit MIPS R5900 processor. I don’t really know what that means, but now I know what instruction set to Google. This overview got me mostly up to speed pretty fast. Alright, now we have a small chance of understanding what we come across. After exploring the menus of PS2Dis, it seems we can open a label list by pressing Ctrl-G.
Neat! Well, we know the music files are all named “#.ADX”, so let’s try entering “01.ADX” (this is the one time you actually type the quotes). Hmm, there’s a list of song names, but there’s nothing that looks like a file table with offsets and sizes. What if we Find (Ctrl-F) “01.ADX” instead? uint8      unknown  //I have no idea what this is. It's nonzero and fluctuates, but just writing 0x00 here works fine. Simple enough. Let’s keep investigating – where does the game decide which music file to load? Let’s go back to that first list of song names. Cool. 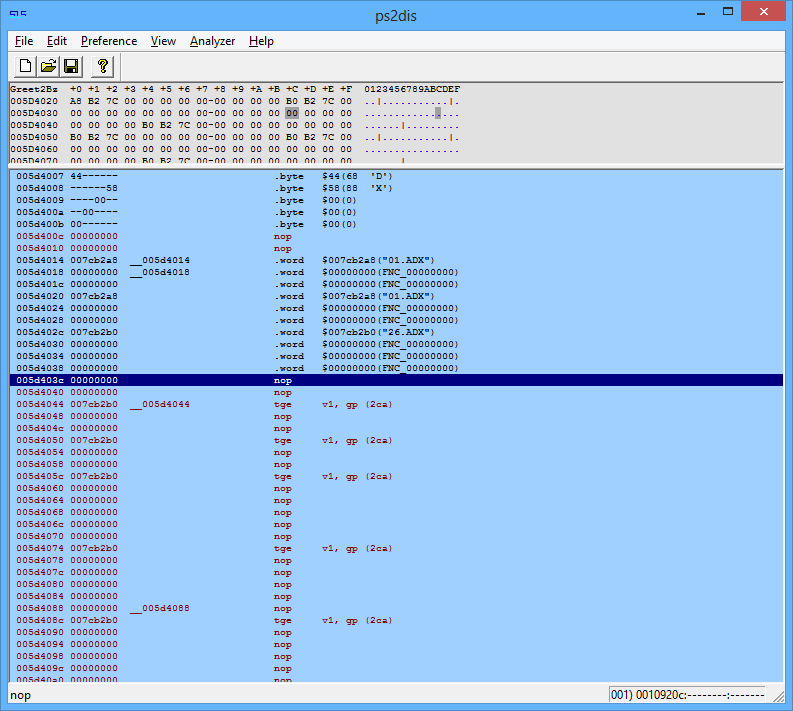 If we press Space and then F3, we can use PS2Dis’s analysis tool to find code that refers to this address. Ah, it’s a list of the addresses of the filenames, evenly spaced by 12 bytes (0x0C). We can test our theory by changing 0x0010920c’s “load immediate” address to be 0x0C bytes further ahead. Try it and, indeed, just about every song in the game will change, because we’ve offset the array index by one. We’ve now covered how to modify the BGM.CVM file to add or modify music files, and the necessary source code changes that must be made to accomodate the new files. In Part 3, I’ll talk about the tool I wrote to actually change things, as well as the assembly routine for picking songs. Persona 3 is one of my favorite games of all time. I originally watched a friend play through the game, then bought Persona 3 Portable to see it through myself. Now, I’ve decided to play through Persona 3 FES, the fully-3D PlayStation 2 version. I wanted to spice it up a little though, since I’d already seen a friend play through it once before. So I created a tool that allows you to change and add music, randomly selecting between alternates for songs. This series of articles is a (heavily edited) look at the path I took to create this tool. If you just want to use the tool, you can download it on my Misc projects page. Sounds good! Time to dig in. First, we need the game files. So we must acquire a Persona 3 FES disc image. Easy enough, since PS2 games don’t seem to have much in the way of copy protection. 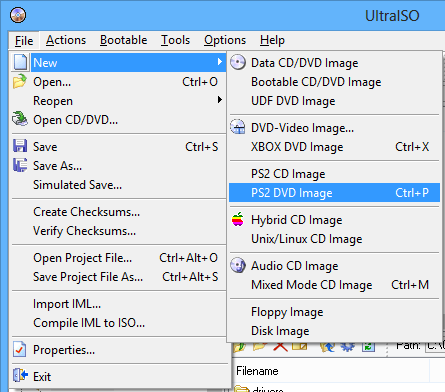 ImgBurn has a “Create Image from Disc” option – pop the disc in the tray, enter a path, and hit the button. Done! Let’s see what we’ve got. So, some “.CVM” files, and a…”.21″ file? What? After some research, it turns out the “SLUS_*” file is the game’s executable, and the “.CVM” files are a format developed by CRI Middleware. The format’s also referred to as “CRI ROFS” (short for “Read Only File System,” I suspect). It’s basically an ISO file with a special header. So, we’re going to need some software to inspect these files. Luckily, a handy tool by the name of DkZ Studio is like a swiss army knife for this type of thing. 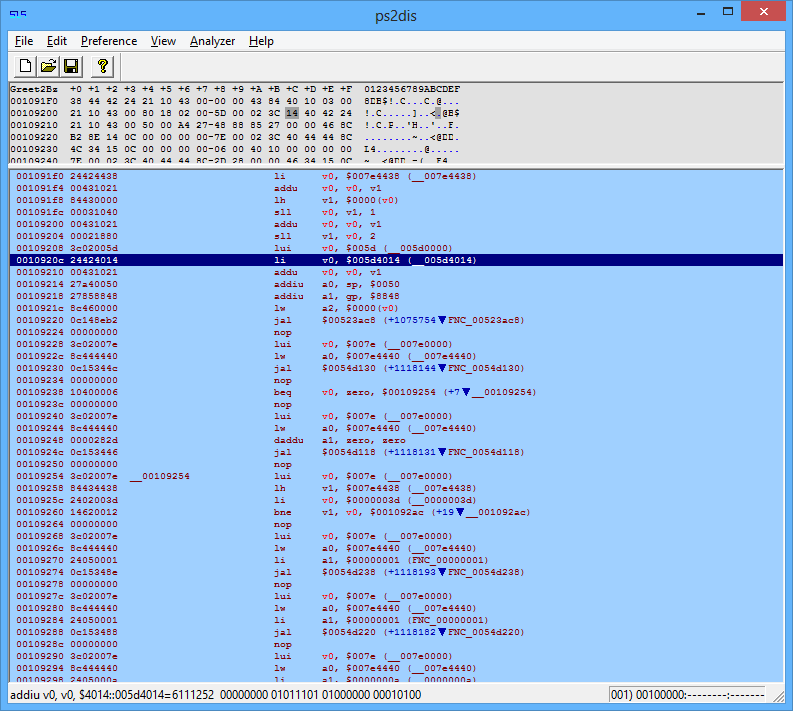 It’s entirely ADX files, another file format developed by CRI Middleware! It looks like ADX files hold sound. You can open them up with DkZ Studio’s built-in ADX player or VLC to hear them. Err, okay, I’ll re-save BGM.CVM and reopen it then. Drat. It seems DkZ Studio can’t handle creating a new CVM file from scratch, as evidenced by the completely broken BGM.CVM it generated (look at those file sizes!). Time to find a tool that can. After many hours of research, I stumbled upon this tool created by a fellow named roxfan. It’s a command-line utility that allows you to convert a CVM to an ISO and back again! Excellent. 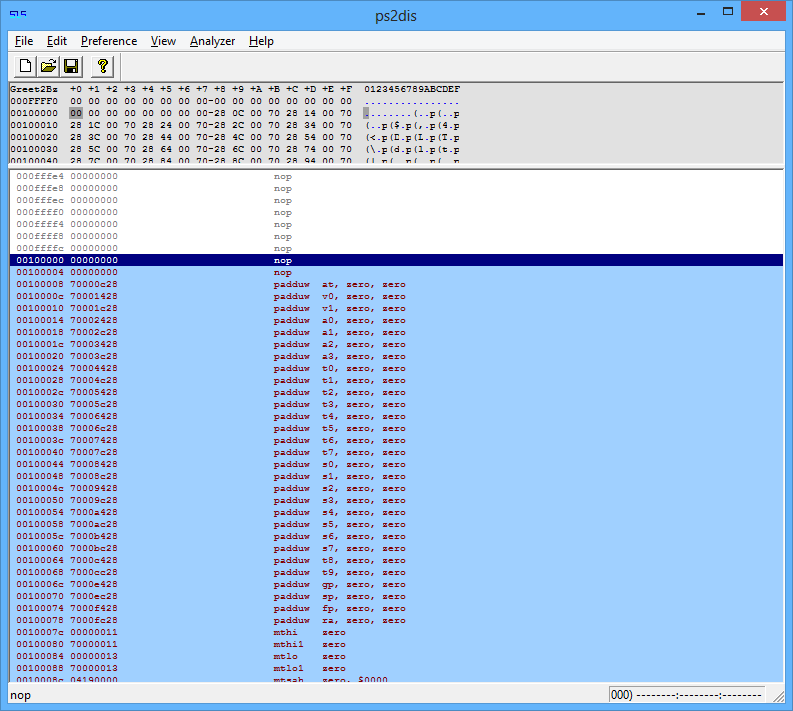 Using that utility, we split the original CVM into an ISO and the CVM header. We pack a new ISO with a tool like ImgBurn, containing the old contents of BGM.CVM but instead of the original 26.ADX, we use our test song. Finally, we have a new BGM.CVM! 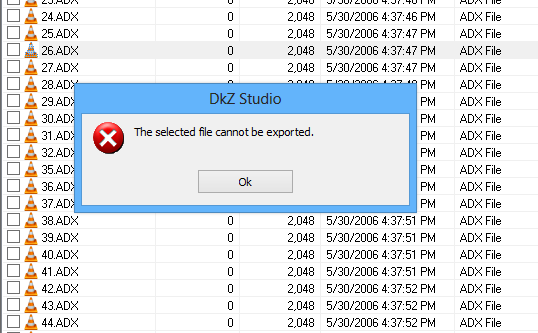 Let’s replace the original one in DkZ Studio, re-save the PS2 ISO, and…oh dear. It quits halfway through the save process! I’m not totally sure why this happens, but I have a hunch. 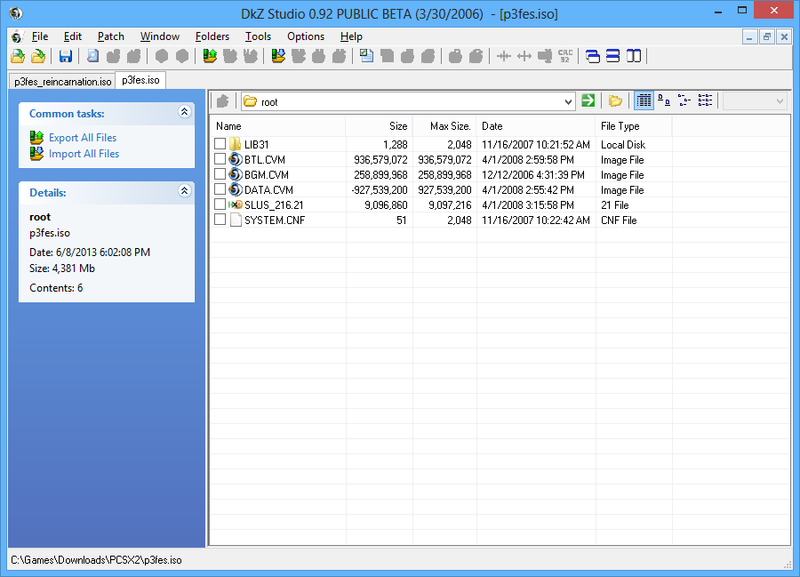 See the file size field for DATA.CVM? It’s not only incorrect, but it’s negative. The actual size of DATA.CVM is around 3gb. I’m guessing it’s being stored as a signed integer instead of unsigned, and the overflow is causing a problem during saving. After more research, let’s try a tool named UltraISO. Exactly what we need! With this, we successfully export a new PS2 ISO. Let’s open it in an emulator (PCSX2), and see what happens. Or rather, hear. 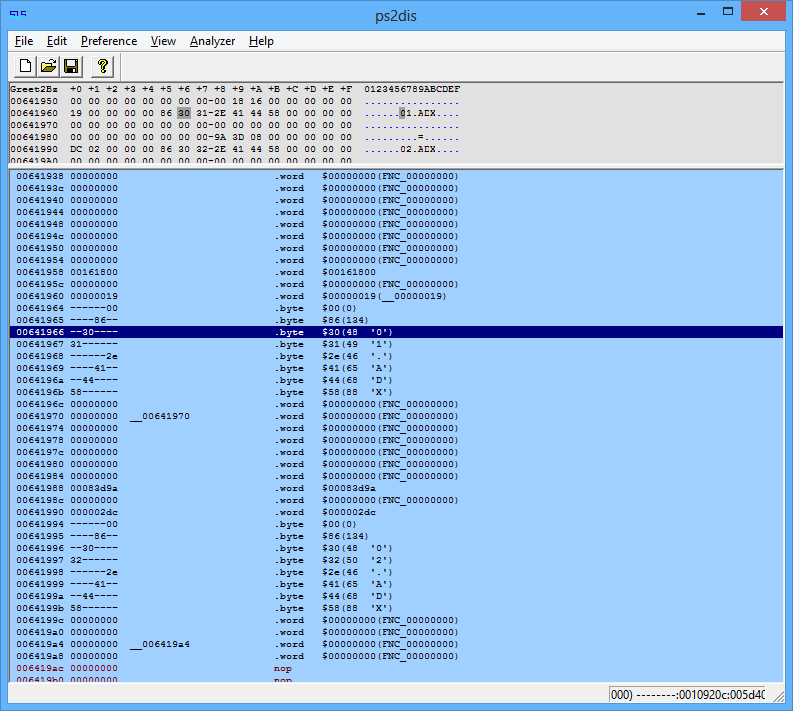 By sheer luck, in the new BGM.CVM, file 53.ADX’s file offset (named “extent” by cvmtool) exactly matches the original BGM.CVM’s file offset for 51.ADX. 53.ADX is the dorm music, which is the music that plays when my save game loaded. If I hadn’t gotten this lucky, the project probably would’ve been dead in the water, because I never would’ve noticed that the game still seems to be loading files from the original BGM.CVM’s ToC, despite the fact that it’s been completely replaced. Which means the game’s not loading files entirely from the CVM! In part 2, I’ll investigate the source code.